Calling all fly fishermen. 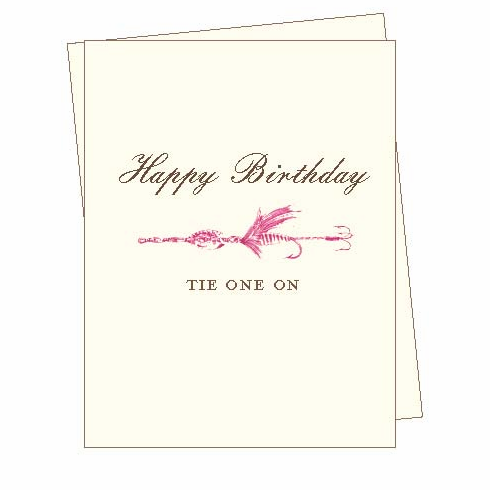 "Happy Birthday, Tie one on" reads the outside text paired with an antique lure. Blank inside.